Spring is almost here, so it’s time to start thinking about all the fresh ways you can upgrade your nail game. Each spring there is one type of nail art that is popular no matter what. Colorful flowers should be your choice once again this season. We rounded up 17 gorgeous floral manicures that you can actually copy. Go ahead and choose your favorite ones. 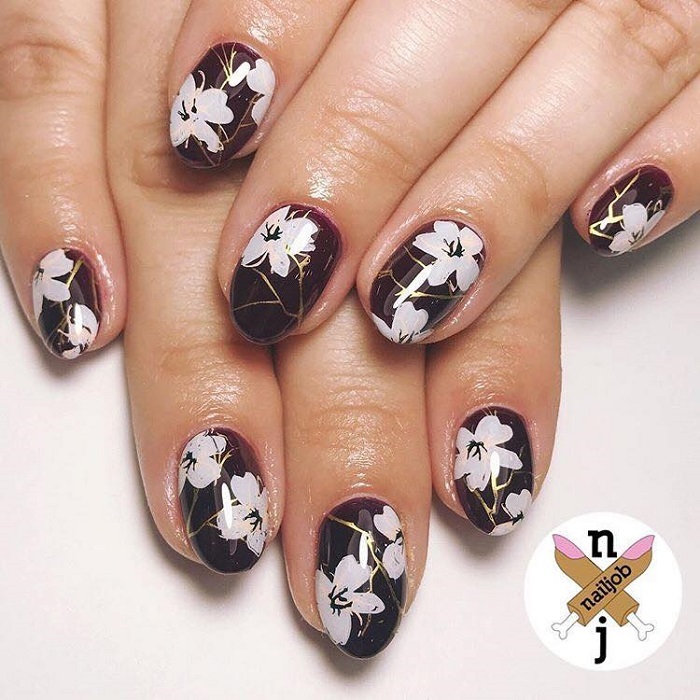 One of the classiest floral manicures you’ll see around. Burgundy looks amazing with these white petals.